Hello Hello! If there's something I like in the cold weather is the opportunity to wear statement boots. I really like these ones that I ordered from Over the Cube. I combined them with a Mango skirt/shirt set, the Trapeze bag that accompanies me every day from Céline, and my fave sunglasses from Gucci. Hope you like it! Lots of kisses! Olá olá! Se há uma coisa que gosto no tempo frio é a oportunidade de usar botas diferentes que quase que sozinhas constroem o look. 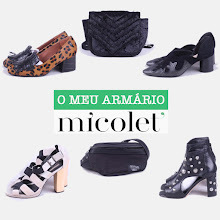 Gosto imenso destas botas da Foreva que encomendei na Over the Cube. Combinei-as com um conjunto saia/camisa da Mango, a Trapeze que me acompanha todos os dias da Céline, e os óculos de sol preferidos da Gucci. Espero que gostem! Muitos beijinhos! Looks so cool and bold!